Nintendo has announced a new way to use your Nintendo Labo kit. A free update for Mario Kart 8 Deluxe allows you to use the Toy-Con Motorbike from the Labo’s Variety Kit to control your in-game vehicles. After downloading the update, you’ll notice a new “Nintendo Labo” icon on the title screen. This is where you can select Toy-Con as the control type. While racing, turning the handlebars changes direction, twisting the right handlebar accelerates, and the various Joy-Con buttons are used for items, brakes and drifting. Up to four players can play at the same time with Toy-Con Motorbike with their own Toy-Con and Joy-Con controllers. The functionality works across all game modes and every vehicle type, providing another way to immerse yourself in Mario’s kart-racing adventures. Mario Kart 8 Deluxe marks the first game with Toy-Con support, and more titles are promised in the future. You can see how it’s done through the new trailer below. The Mario Kart 8 Deluxe update is available now. 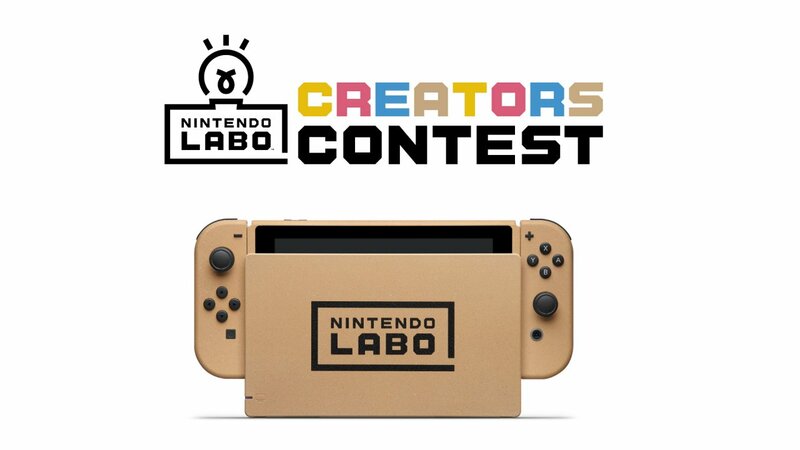 If you’re a creative genius who likes to tinker on Labo-related creations, you could be up for some cool prizes, including a specially designed, collectible cardboard-inspired Nintendo Switch system. You can enter by uploading your submissions to the Labo website. The competition is open to the US and Canada (excluding Quebec), and you must be over 12 years old to enter. Entries must be received by August 20, so you’d better get cracking. Will you be entering the competition? Let us know your greatest Labo creations.